Manufacturing of spiral ducting for the air-conditioning and cladding industry as well as plasma cutting. Caramondani Spiral Ducts Industry Ltd was founded in March 1997 as a wholly-owned subsidiary of Caramondani Engineers, producing spiral ducting for the air-conditioning and cladding industry, as well as plasma cutting sheet metal plate with a thickness up to 15mm. 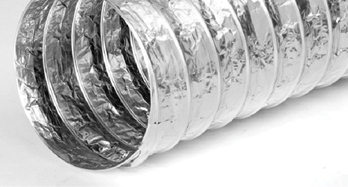 The company was the first to manufacture spiral ducts for industrial use in Cyprus and the only company using machinery of Spiro S.A, the world leader in air duct systems. 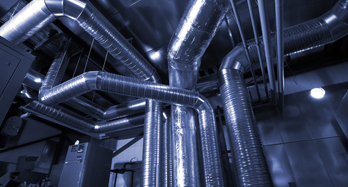 The main activity of the company is the production and supply of air ducts as well as round and square fittings for ventilation and air flow. 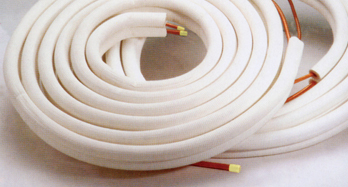 Its range of products include single and double wall air ducts with built-in insulation and fittings made with glass fibre, rockwool, armaflex, neoprime and various plenum boxes. With the cutting-edge machinery it owns and operates, the company has the capacity to produce simultaneously four pillars, which is unique to Cyprus. Today the company operates a state-of-the-art factory in Limassol and is a market leader in its field. Its clientele includes major contracting companies as well as smaller companies and retail users. It has supplied major government and private buildings across Cyprus, such as hotels, airports, ports, hospitals, universities, conference centres and factories. Some of the projects successfully completed by the company include the Electricity Authority premises at Vasilikos, IKEA, Jumbo, MyMall in Limassol and Kings Avenue Mall of Pafos. The aim of the company is to continue enhancing its technical know-how and its products range, while remaining fully committed to the safety of its employees during the production process, following the highest industry standards.